Distracted driving is a problem for businesses that have employees who drive as part of their jobs, whether in company-owned vehicles or personal vehicles driven for a business purpose. When it came to company vehicles and employee drivers, Green Landscaping Co. (a pseudonym) did a lot of things right. The vehicles were maintained on a set schedule, their employees were all subject to biennial motor vehicle record reviews and every truck was outfitted with a telematics device that reports the vehicle’s location and speed. But that didn’t eliminate every risk from the company’s driving experience. While driving his personal (unmonitored) vehicle to a job site, a company manager looked down to search for his ringing cell phone — and crossed the yellow line, striking another vehicle head-on. Sadly, the other driver was seriously injured. For Green Landscaping Co., the accident resulted in a $2 million settlement. As we see in this scenario, the decision to drive distracted is often taken lightly, but it leads to heavy consequences. As you have no doubt seen in your daily work, distracted driving accidents can incur huge financial burdens, damage reputations and cause tragic loss of life. So, how can other companies avoid or best respond to this scenario? We depend on individuals to make good decisions when driving. But businesses can do more to support safe driving on the job. In fact, they have a responsibility to their employees, customers and the driving public to do more. Commercial auto loss control requires a holistic approach, and the following five practices will help companies get on the right track. There are many causes of distracted driving, and programming the GPS while the vehicle is in motion is just one of them. Is distracted driving really as pervasive and dangerous as it’s made out to be? According to the National Highway Traffic Safety Administration, about 660,000 drivers use electronic devices while driving. In 2015, such drivers caused 391,000 injuries and the deaths of 3,477 people. Electronic devices are not the only source of distraction. We can understand behind-the-wheel distractions as falling into three categories: manual, cognitive and visual. A manual distraction can include reaching into the back seat, while a cognitive distraction may be as simple as daydreaming. And, a visual distraction is anything that takes your eyes off the road — including looking at a GPS device. Still, as the CDC emphasizes, texting poses a unique challenge to the driver’s attention: It combines all three of these types of distraction. First, employers must make better decisions themselves. Many roles that require driving — like pest management technicians and patrol security officers, for example — don’t have driving as a primary job description. Yet hiring safe drivers is one of best ways for employers to ensure they are putting safe drivers behind the wheel. After all, past driving behavior is the best indication of future performance. Any job candidates who may be driving in their future role should undergo a motor vehicle record (MVR) review for any state from which they have had a driver’s license. Some MVR red flags include recent driving under the influence citations or frequent moving violations, though each company can develop its own list of prohibited violations. Résumés and job applications are a good source of driver information, as well. Has the candidate driven a vehicle like the one required for a job? Does the candidate cite defensive driving training? Review driving skills and experience as you would any other skills. In some cases, a candidate’s physical condition may be relevant. Does the candidate have a condition that precludes the candidate from spending a lot of time behind the wheel? Does the candidate take medications that make driving less safe? All of this is part of the decision-making process. Furthermore, businesses should include a road test as part of the hiring process. This allows managers to look for safe-driving behaviors like buckling up, obeying the speed limit and avoiding distractions. Provide copies of your safe driving policies to all employees, and provide updates regularly. Though current employees don’t need to go through the hiring process over and over again, they may benefit from some of the same driving reviews. Yearly road tests and MVR reviews provide valuable insight into their daily driving habits. In addition, these reviews provide opportunities for coaching and enforcing safe-driving policies before negative habits become accidents. Clear, enforceable safe-driving policies are critical for every employer. These documents detail prohibited driving behaviors and desirable alternative actions. For example, if the policy prohibits programming a GPS device while driving, it can also recommend that drivers pull over in a rest stop to get their route in order. These documents should provide specific consequences for failing to follow the policies and any resulting disciplinary actions. As a trusted insurance agent, you can encourage your business clients to maintain records of these policies. 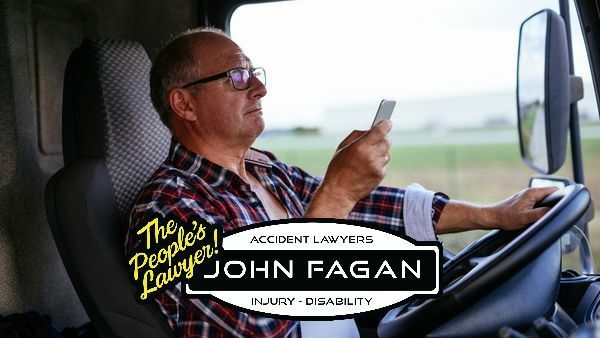 If an employee is involved in an accident and the employer is accused of negligence, the policy can serve as documentation that the employer actively discourages and prohibits distracted driving. Most commercial vehicles have telematics available that enable employers to know how safely their employees are driving. Telematics are nothing new to insurance professionals. But many insureds with fleets can benefit from integrating GPS trackers and other techie tools with this technology. For employers, telematics can provide real-time information about a vehicle’s location and rate of speed, allowing managers to review data for evidence of dangerous habits like hard braking and failing to use a seatbelt. Telematics can’t tell managers about every time an employee reaches for the phone while driving, but they can add tools like Cell Control, which block cell signals within a vehicle, making it impossible for a driver to give in to distractions. All those indicator lights on the dashboard may seem old-fashioned by comparison, but they’re still a good source of information. A fully functioning, safe vehicle helps make sure a driver is set up for success. Businesses should have a schedule and system in place for routine maintenance and timely repairs. As with the safe driving policy, this maintenance should be documented. Be sure employees know how to report accidents and what documentation to obtain. Even when a business has the right risk control policies and procedures in place, sometimes management neglects to prepare for accidents. Training employees to respond calmly and competently to accidents can help. An “accident kit” in every fleet vehicle is a useful way to support employees in the immediate aftermath of an incident. In the past, employers often included a disposable camera and a list of phone numbers, which isn’t as necessary in the smartphone era. But they can provide a form that the driver can use to report the conditions of the accidents. The employee driver can take photos with the smartphone to supplement the form. As you know, it’s critical that drivers record the details of an accident in its immediate aftermath. Memories of details like turn signal usage and stop sign locations can become murky with time. Employee drivers should also be directed to call the police in the event of an accident. Over time police have become less and less involved in determining fault in an accident, but they have a role at the scene of even minor fender benders. Employees should not discuss who was at fault with the police, but they can work with them to document the accident. Plus, a police officer can provide a calm, outside perspective on a stressful situation. An accident is also a teachable moment. Agents and brokers can review the claim with the insured to identify gaps in training, policies and procedures, loss control, and insurance coverage. Many of us focused on commercial auto have been actively fighting this trend toward increased accidents and rising losses. The good news is that information and resources are widely available, often from the program administrators and carriers with whom you work. One of the best ways to serve your commercial auto accounts is to connect them with information that helps them create safe fleets and safe drivers.